on audio Detailed Vedic Jyotish Birth Chart + 30 min Interpretations by phone/email/chat/in person and a copy of chart by email. This is the first step to know whats happening in your life and what solutions are possible for immediate improvement. as per your planetary positions emailed to you at no extra cost. Regularly US$250 now for a limited time save $100. 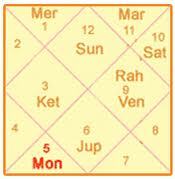 Detailed Vedic Jyotish Birth Chart + 30 min Interpretations by phone + Powerful Yantra and a copy of chart by email. This package also includes a yantra to keep in your wallet or at home based on the planetary positions in your chart. Yantras change energies and immediatly attract success wealth etc. Order now and also get powerful mantras on audio as per your planetary positions emailed to you at no extra cost. Regularly US$350 now for a limited time save $100. and if necessary will include a 10 min phone consultation. If you would like to pay by Western Union or Money Gram or Money Order Or Check Please email Pandit Anil SharmaJi at PanditAnilUSA@gmail.com and you will get further instructions.